Story Contracting employees started an important conversation about mental health with sixty young learners at Carlisle College today. 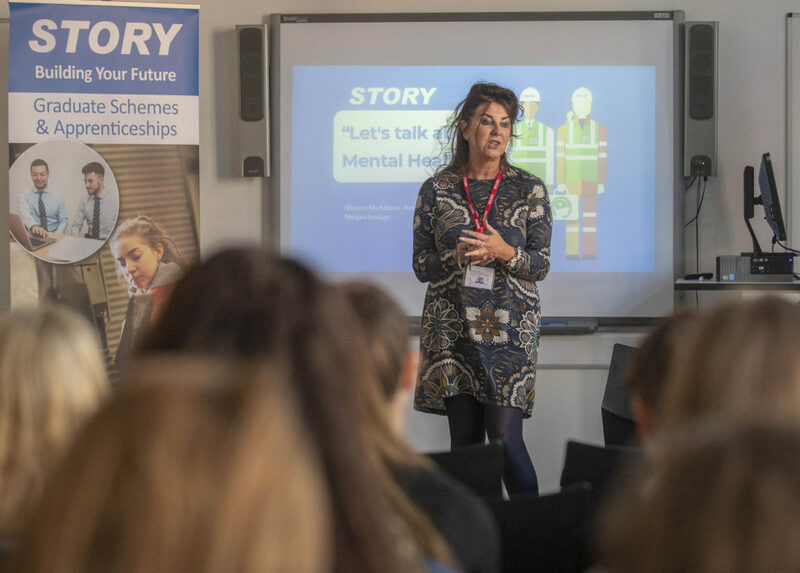 As part of the company’s mission to break down stigmas surrounding mental health, Sharon McAdam, Story Contracting Occupational Nurse, along with team members Rebecca McGraw and Megan Savage, visited the college to discuss how the students spot the signs and how to ask for help if they’re struggling. 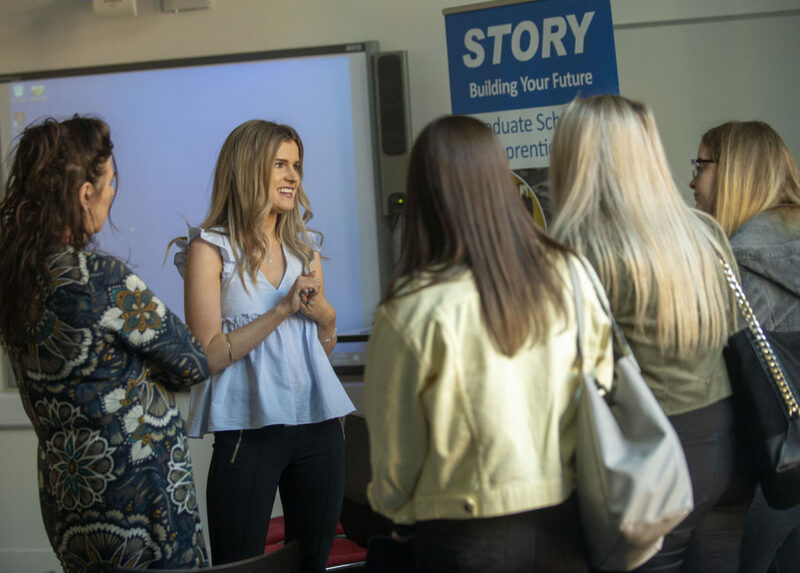 The students also took the opportunity to talk to the trio about how social media affects their lives and how local employers like Story positively approach mental health. Sharon said: “We’re very pleased to talk to the students today. 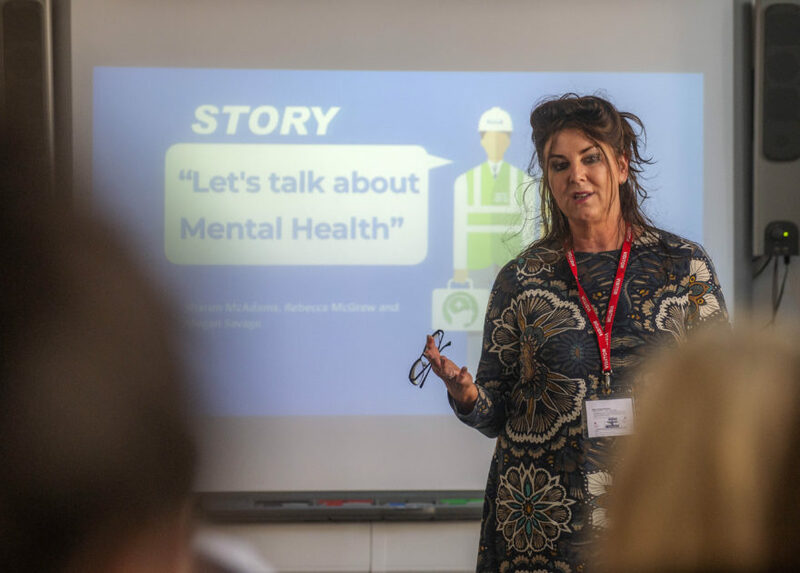 It’s something we are very passionate about at Story Contracting as we understand that it’s important to empower and support anyone experiencing mental health problems. Sharon added: “There can be a certain stigma associated with mental health, but it is a subject that we need to continue talking if we want people to understand that it’s normal and you don’t have to go through it alone. People suffering often don’t know where to turn next, which is why Team Story and Carlisle College’s Progress Coach made sure the students came away from the talk understanding what support is available and not to be ashamed to say they have a mental health problem, especially when applying for jobs after college. 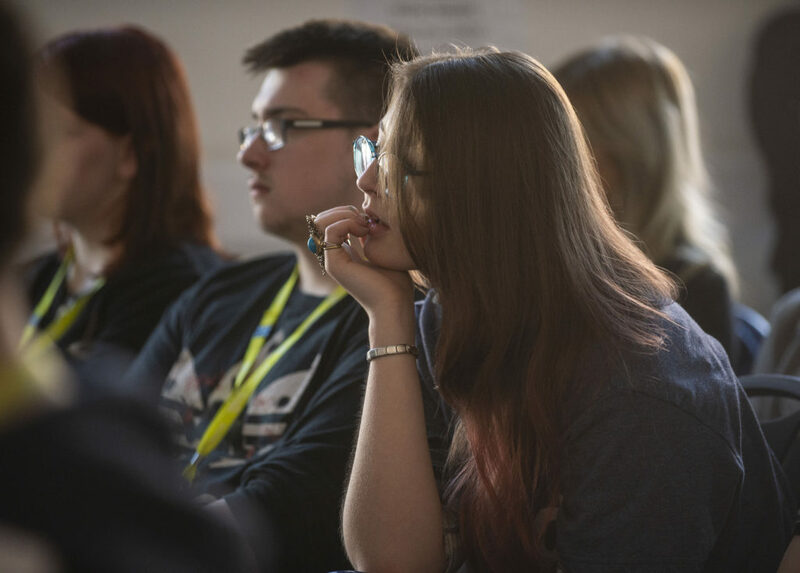 Story has a number of initiatives to increase the awareness and understanding of Mental Health amongst it’s workforce, from training over 20 mental health first aiders to encouraging employees to talk to the in-house occupational nurses. The company also has a two-year commitment to support and raise money for mental health charities Mind and the Scottish Association for Mental Health (SAMH). To date Story employees have fundraised over £8,000 for the vital charities.